The colours or sizes may change, but the idea is simple – represent the new frontier, and the old home. Where we are now (the moon) is most important, but don’t forget where we were from. I designed these flag options a long time ago, around the year 2001, following some discussion (and a competition) on the main moon society mailing list regarding a flag. Several were produced, but they were all very complicated. I’m not a graphics designer, but it was plain to me that the above images would fit perfectly. 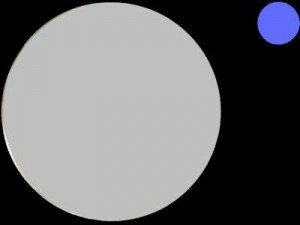 They can also be swapped around (large earth/blue circle, smaller silver moon) to signify a Earth-side installation. 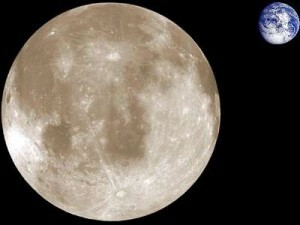 For comparison, I also did versions with the image of the Moon/Earth that can also be used.